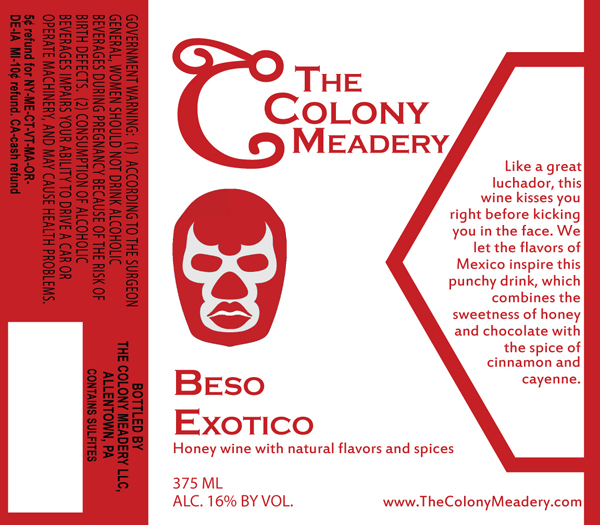 The Colony Meadery in Allentown has submitted for approval to release a few new meads. Most of these are a bit stronger than their previous ones, coming in at 16% and 16.5%. The first is Beso Exotico, made with honey, chocolate, cinnamon, and cayenne pepper. 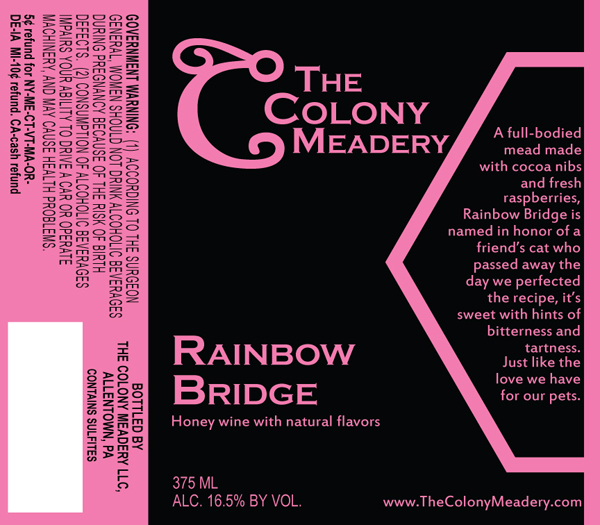 Rainbow Bridge is a mead created with cocoa nibs and raspberries, lending a tart hint to a sweet profile. 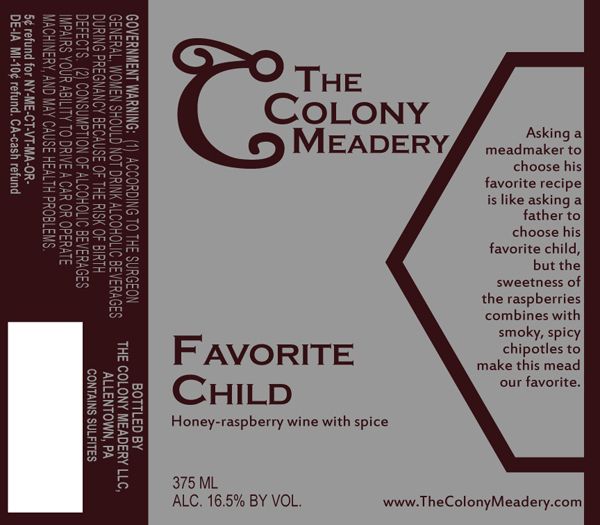 Favorite Child combines raspberries and chipotle peppers to lend a smoky, spicy character to the mead. 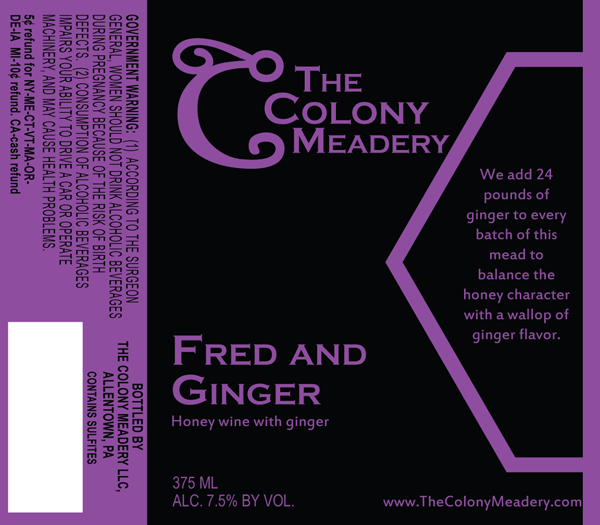 The last new mead, Fred and Ginger, is weaker in ABV than the rest, at 7.5%ABV, but incorporates 24 lbs of ginger in every batch. You can also check out Colony’s grand opening ceremony and ribbon cutting during Lehigh Valley Beer Week. The ceremony will take place Monday, February 18th from 4:30pm to 6:30pm at the meadery located at 905 Harrison Street in Allentown.